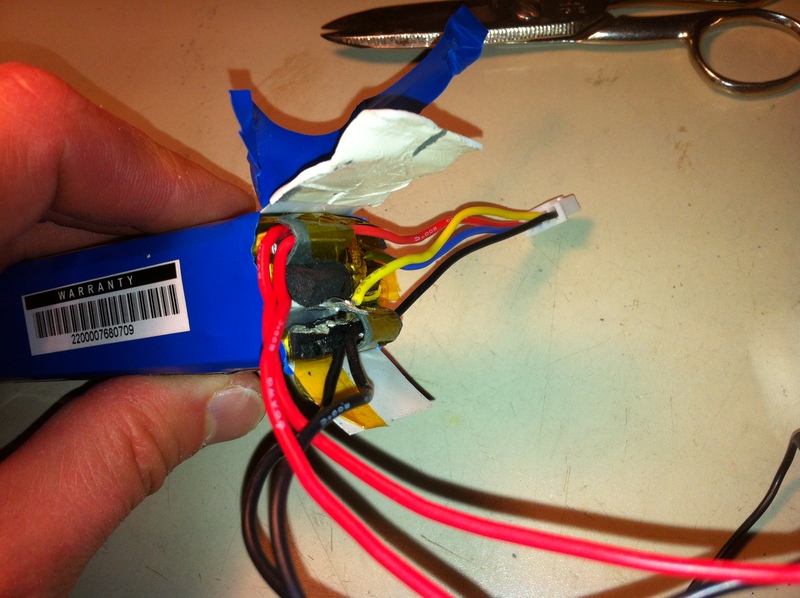 A friend of mine asked me to swap the connector on his Turnigy 2650mAh 3S 1C LLF Tx Pack (Futaba/JR) so it would work properly with his 9X. The operation is easy enough. I had him order a JST-XH Parallel Balance Lead 2S 250mm (2xJST-XH) and then I simply swap the leads out. 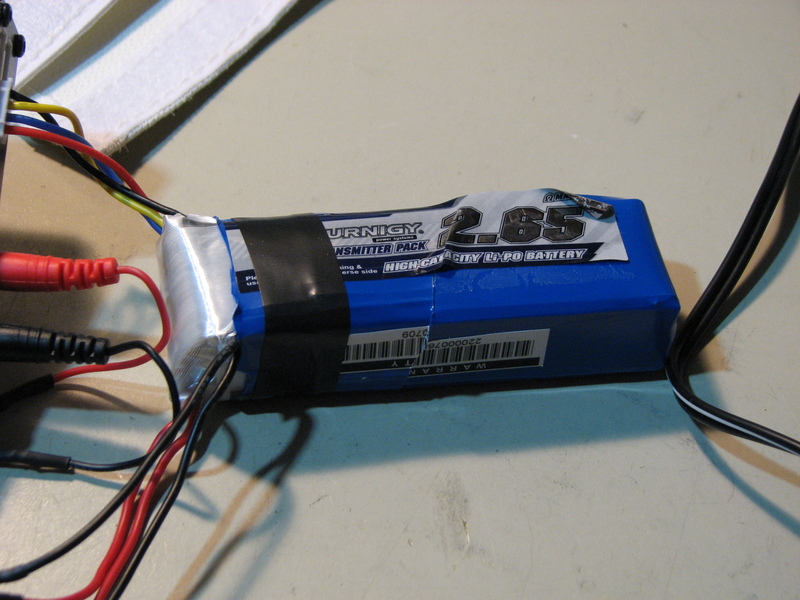 Before I started the job I checked the health of the battery. Everything check out but after I put the 2S connector on the battery came back with a “Connection Broken” error. D’oh. What had I done? Battery was not puffed so I had not sparked it or anything. I could get voltage reading off all the lead posts. Well I informed my friend something went wrong and ordered him a replacement since I’d modified the battery and doubted the warranty would be honoured. The only thing left was to see if we could save this brand new battery. Time to open her up. #1 I did lots of reading. #2 Be very careful! #3 take your time. #4 be prepared for anything. Enough said onto the operation. 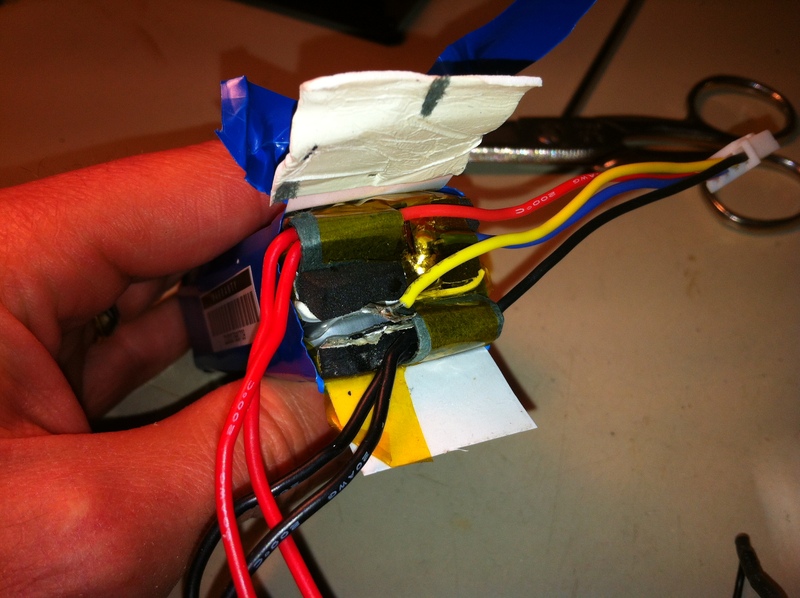 – Right away the yellow balance wire looked wrong. Actually the soldering job is horrible on all the connection. – But the link from the yellow wire between middle and 3rd cell had broken or was just bad to begin with. – Time to take it all apart. 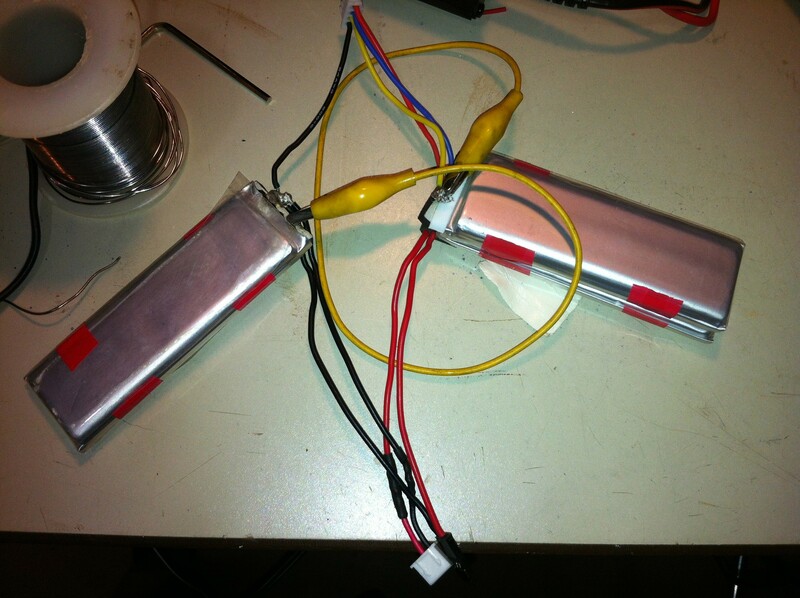 – Connected the 2 cells and did a test on the charger. Proving that was the issue. Notice the 2S connector replacing the incorrect one. People just jam that into the 9X. No thanks. – Took some work to get a connection to the 3rd cell. The material, we think is aluminum did not take to soldering at all. In the end a notch was put into connection point and that helped secure a solder. – You can see the 3rd cell is very low. I was trying to charge the battery using my NICAD charger but the 3rd cell was not getting power. 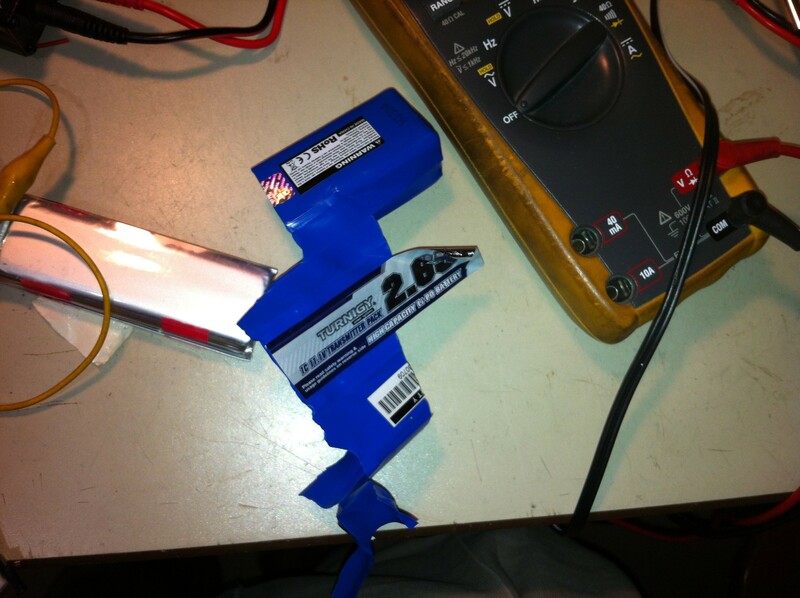 – Last night over several hours on and off I charged it a 1 amp in balance mode and slowly brought the 3rd cell up to 4.20V. It lives and will have purpose. 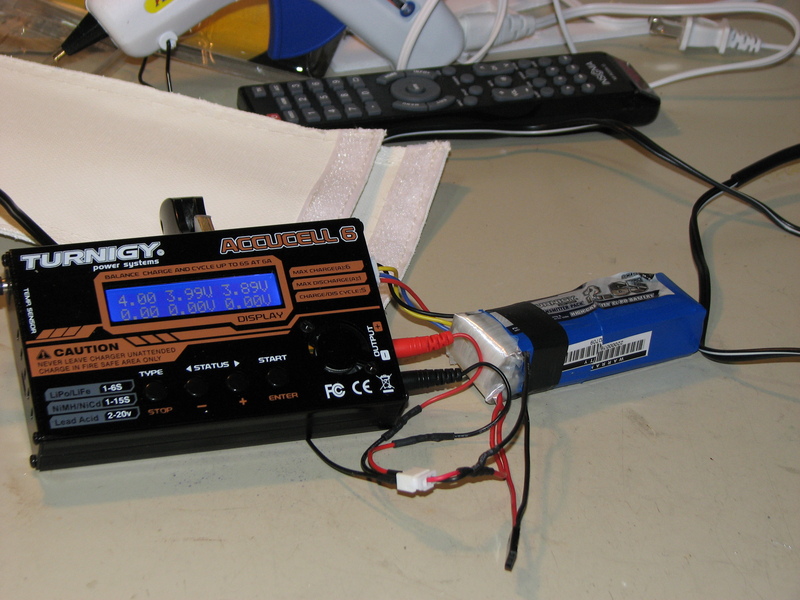 – This is the 6ch radio my son uses. 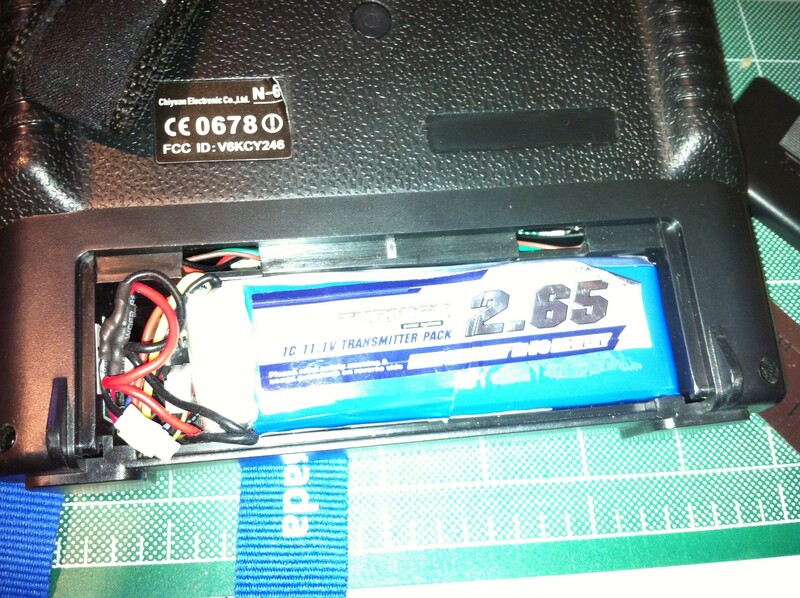 It eats 1.5V AA batteries so it gets a new LIPO. Honestly the power usage between this radio and my Turnigy 6ch which uses 4 AA’s is crazy. – I will have to put the original connector back on but will also reduce the wire length to make room as it is a little tight. So top tip watch those balance wires. 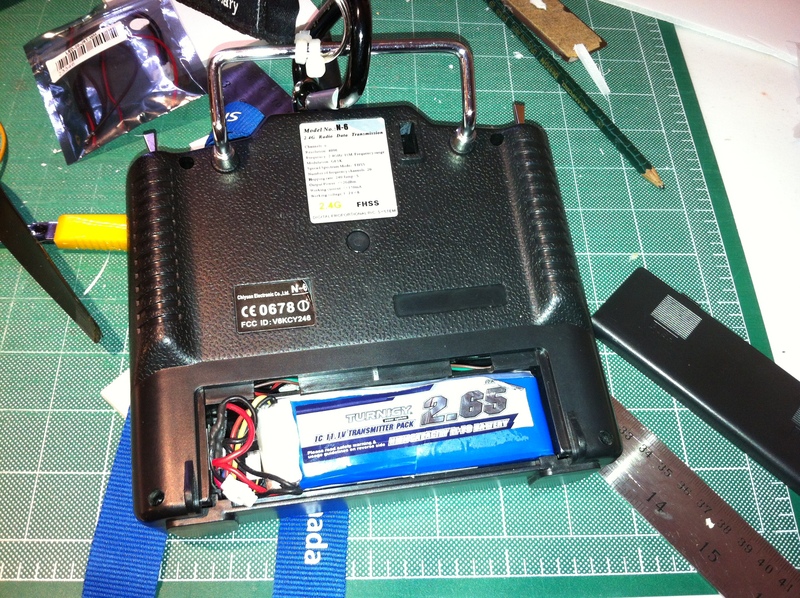 I’m going to add some hot glue to the top of the battery case to ensure they do not get tugged.